Ratlam used to be an important industrial centre during the 1980s. Due to many factories that produced toxic waste, the groundwater of the district got contaminated due to improper handling and storage of industrial waste. Bajankheda is one of the worst affected villages in the district. Three industries, Sajjan Chemicals Ltd, Jayant Vitamins Ltd and Bordia Chemicals, were identified to be contributing majorly to groundwater contamination and had to shut operations in early 2000 due to penal action by the State Pollution Control Board. Thanks to these industries and the waste they produced that contaminated the groundwater, the Central Pollution Control Board has identified the Ratlam Industrial area as one of the most polluted areas in the country. Reports suggest that more than 23,500 tonnes of hazardous waste is buried in the area. The Madhya Pradesh Pollution Control Board has identified three contaminated sites from illegal dumping of hazardous waste at Ratlam. These sites are located in the low-lying areas with its drainage towards the Dosigaon drain which leads to Kukrel river, a tributary of Malani river. The groundwater in parts of Ratlam town, mostly near the railway colony and about 10 villages—Dosigaon, Borwana, Sejavata, Ghatla, Bhatuni, Bajan Kheda, Jadwasa Kala, Jadwasa Khurd, Kalolo Kala and Shimla Vada—have become red in colour due to the seepage of leachate from the waste. As per the Central Ground Water Board report, ‘Impact of Industrial Pollution on the Quality of Groundwater in and around Ratlam City, Madhya Pradesh’, about 30 sq. km of area is reportedly contaminated. The waste dumping has also led to the contamination of agricultural soil and has rendered it infertile and non-productive due to high salt loading. Needless to say, contamination has adversely affected the community life of the region. Water from borewells in those areas is unfit for drinking. Certain media reports suggest that in 2011, the Public Health Engineering department found the total dissolved solids (TDS) and iron levels in groundwater to be way beyond permissible limits. No study has been done to assess the status of groundwater contamination in the region since then. But villagers say that the effect of contaminated water is palpable everywhere. “Due to the consumption of toxic water, the mortality of our domestic animals gradually increased. Government officials, however, denied our claim but our arguments are based on our experiences and observations. We say this because it happened after the groundwater contamination in the 1990s. We were forced to sell our cattle that used to be one of our sources of livelihood," says Rajesh Patidar, a farmer leader from Bajankheda. Farmers in the area say that agricultural production has also deteriorated since water contamination has gone out of hand. They do not cultivate onions, gram and garlic anymore as the quality of the soil is now poor. “Even labourers do not want to work in the affected villages because of the lack of clean drinking water. The unavailability of labourers too has affected farming,” says Mangal Singh, a farmer from Ghatla. As far as potable water goes, the affected gram panchayats have been requesting district authorities to supply piped water from safe sources to every affected household to no avail. Hence, most villagers are forced to depend on groundwater for domestic use. 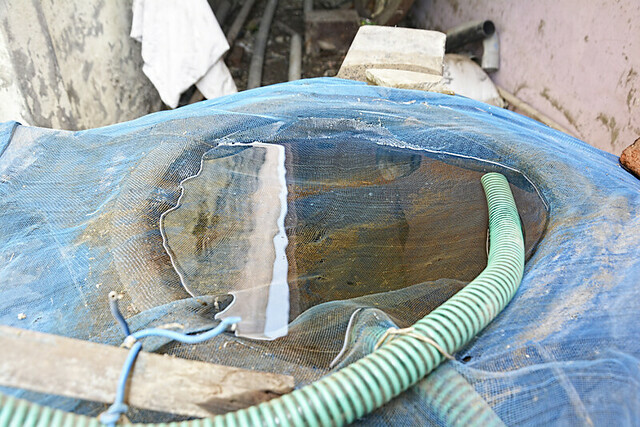 On the other hand, despite the supply of drinking water by the municipal corporation in the railway colony of Ratlam town, another affected area, residents are forced to use groundwater because of the irregular supply. The pressure of the supply is sometimes so low that it is not very useful, residents say. Health is another major concern. Dr S.K. Shrivastav, a senior general physician, currently working with Bima hospital, a public sector hospital in Ratlam town says most cases that come to him are of diarrhoea, skin problems and stomach pain. “I have found that most of my patients who come with skin and stomach problems use groundwater for domestic use. People living around the industrial area are more prone to such problems. There is a need to study the impact of groundwater contamination in the area. The improvement in the municipal services could be a solution to improve the health status of the people,” he says. The Ratlam district health authorities, when contacted regarding the current health status of the affected villagers, did not comment on the matter. The Chief Medical Health Officer, Dr Prabhakar Nanavare says that he was not in a position to comment on the matter because he is new in Ratlam. People of some of the affected villages have made alternate arrangements for better water. Some of them bring water from distant sources for drinking. For example, Bhatuni village receives water from other villages near Ghetala Panchayat. “In affected villages, individuals with good purchasing power, have installed R.O. units in their households to reduce their risk of falling ill. But for the people living below the poverty line, the struggle for safe water continues,” says Ghanshyam Patidar, sarpanch of Jadwasa Kala, another affected village. 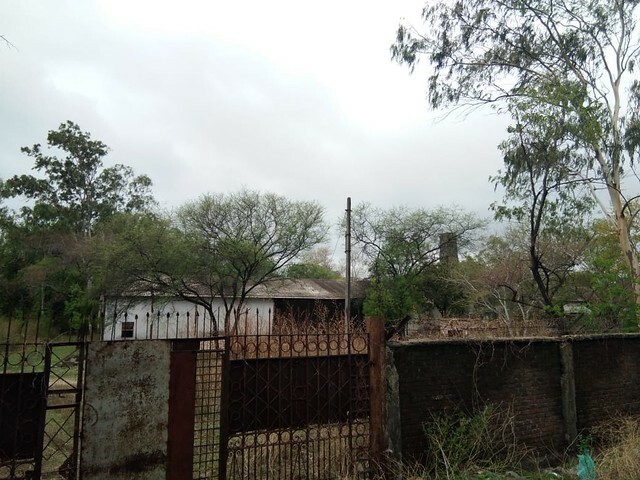 For the residents of the railway colony near Ratlam Industrial area, the main supply of their drinking water is Kurel dam situated at a distance of 10 km from the Ratlam city. This was supplemented with borewell water. As the water from the borewell water is hard in nature, it is not very suitable for drinking purposes. In January 2015, the railways entered into an agreement with the municipal corporation for the supply of five lakh litres of water per day from the Dholawad dam. Who should remove the waste? As per Section 5 of the Environment Protection Act (EPA) 1986, the disposal of hazardous waste is the responsibility of the polluting industry that has occupied the land. But, the waste debris is still lying in underground storage tanks and sheds within the factory premises. Legal action under EPA had been filed in by the Chief Judicial Magistrate (CJM), Ratlam but no substantial action has been taken so far by the government to lift waste from its existing location. “The government has identified a location near Pithampur in Dhar district to dump the hazardous waste and started disposing of the waste also,” says P.K.Trivedi, regional director of Ratlam division, MP Pollution Control Board. But, as per the residents, they have not yet seen any visible activities in the industrial area in this regard. “The people of Ratlam are frequently complaining about the groundwater quality. The issue had been raised in the state assembly also,” says Paras Saklecha, former MLA and a social activist at Ratlam. In 2016, the government developed a Ratlam disaster management plan to address the issue of hazardous waste. But the programme has still not been implemented. To resolve the groundwater contamination in Ratlam needs collective efforts from the state government and the pollution control agencies. There is an urgent need to follow the guidelines of the hazardous waste management as per the Environment Protection Act, 1986 by the district administration and immediate measures should be taken for the removal of hazardous waste.